Sorting, counting and packaging coins and currency with confidence shouldn’t take time away from your busy schedule. For quality you can count on and accuracy that never leaves you guessing, order your next money counter from Budco. 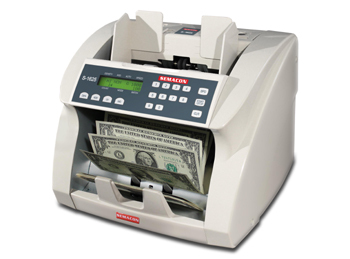 We have the right money counting machine to match your exact needs and money handling volume requirements. Each of our precision machines is designed for high-speed operation to save you valuable time. Shop our extensive collection from the most trusted names in the industry – all at a great value and backed by a manufacturer warranty..
Click here to see this and our entire collection of money counters.